When seconds matter, lubricant science and engineering really matter. Mobil 1 engineers assessing the impact NASCAR rule changes will have on lubricant requirements for Stewart-Haas Racing’s cars. As Tony Stewart did in his first season with Mobil 1, Kevin Harvick secured the 2014 NASCAR Sprint Cup Championship racing with Mobil 1 technology under the hood. 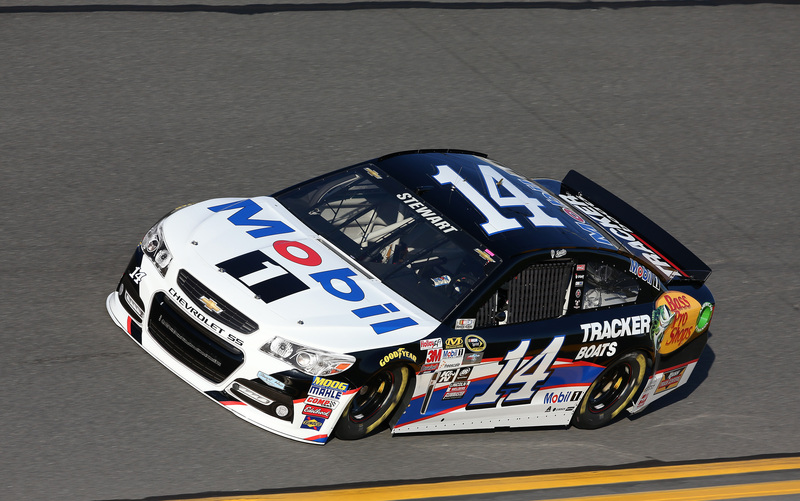 SHR drivers help ExxonMobil improve the quality of Mobil 1™ products for consumers. "When seconds matter, racing lubricant science and engineering really matter"
DAYTONA, Fla.--(BUSINESS WIRE)--After securing two NASCAR® Sprint Cup titles in four seasons, Stewart-Haas Racing (SHR) and Mobil 1 TM Racing lubricant engineers have spent the offseason working together to prepare for the 2015 NASCAR Sprint Cup Series season and the latest rule changes. During the past few seasons, the collaboration between Mobil 1 and SHR engineering teams has resulted in different lubricant solutions for different tracks and driving conditions. Since teaming up in the 2010 off-season, SHR and Mobil 1 engineers have formed a close working relationship that has addressed numerous racing challenges and NASCAR rule changes, both large and small. From the 2011 season on, that partnership has led to significant on-track success with two Sprint Cup titles, 18 wins, 79 top 5s, 135 top 10s and 17 poles. When the green flag drops for the 2015 season, Mobil 1 Racing will now be directly supporting SHR drivers with more than 100 combined total Sprint Cup wins. Last year saw the SHR and Mobil 1 partnership bring home its second Sprint Cup Series title in just four years when Kevin Harvick won the Chase’s Championship Round at Homestead. As Tony Stewart did in 2011, Harvick won both the race and Championship at the season finale at Homestead. With the help of Mobil 1 lubricant technology, Harvick’s 14th season in NASCAR’s top series was highlighted by five race victories, 20 top 10 finishes and eight pole positions. He also led an astounding 2,137 laps during the course of his 2014 campaign – more than 500 laps greater than any other NASCAR Sprint Cup Series driver. The Mobil brand’s history in motorsports officially began in 1979 with a sponsorship of Williams Formula One Racing Team. From that time, the presence of Mobil 1™ technology on race tracks and circuits has grown by global proportions. Today, Mobil 1™ synthetic motor oil is relied on for its ability to deliver exceptional engine performance and protection even under some of the most extreme conditions by team owners and many of the world’s leading automotive manufacturers. 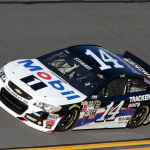 Along with its status as the Official Lubricant Technology Partner and Official Motor Oil of NASCAR, Mobil 1 enjoys a long association with many of world's most popular and successful race teams, including Stewart-Haas Racing in NASCAR’s Sprint Cup Series, McLaren Honda Formula One team, Corvette Racing’s Tudor United Sportscar Championship team, Tony Stewart Racing’s USAC and World of Outlaws team and the Falken Tire racing drift team. Mobil 1 also serves as the title sponsor of the Porsche Mobil 1 Supercup and the Official Technology Partner of the World of Outlaws Sprint Car Series.